An Aberdeen travel firm has reported strong interest from north-east busiensses interested in going to the Offshore Technology Conference (OCT) in the US. 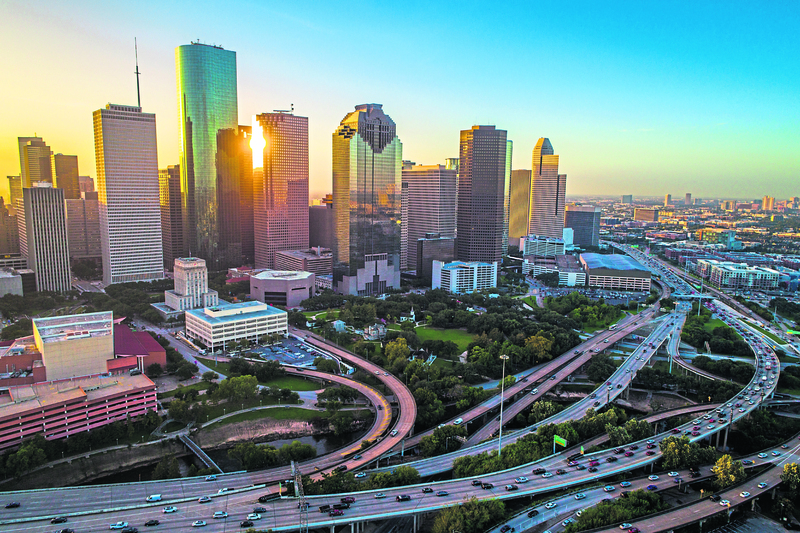 The annual oil and gas show, being held in Houston from May 6-9, always attracts a large contingent of people from the Scottish oil and gas industry and its globally-focused supply chain. This year’s event offers an added incentive for those still mulling whether they should attend – it is the last chance they have to celebrate OTC’s 50th anniversary. Aberdeen-based energy industry travel experts Munro’s Travel and The Press and Journal have organised visits to OTC through a tie-up dating back to 1973. Munro’s managing director Murray Burnett said inquiries about the 2019 show were coming in thick and fast. “There has been very stong interest,” he said, adding: “There is a general sense of positivity in the oil and gas community about the industry. More than 60,000 energy professionals from around the world will be at OTC 2019. Scotland will be represented by some companies taking part for the first time and others which attend year after year. Munro’s has negotiated “very competitive” room rates at the Hilton Post Oak hotel. The firm still has some availablity but its remaining allocation is expected to be snapped up soon. While a rebound in industry confidence after the 2014-15 oil price slump is driving interest in OTC from this side of the Atlantic, hopes are high the same is happening in the Americas. OTC veteran Jim Milne, chairman and managing director of Aberdeen-based Balmoral Group, said: “We are seeing an increase in activity in the GoM (Gulf of Mexico) and South America, so we hope that OTC will also pick up this year. Last year’s OTC was the 50th but the golden anniversary celebrations are still in full swing.